Craftsy instructor Amanda Murphy has the most exquisite sewing skills, and a fabulous eye for color, fabric and design. 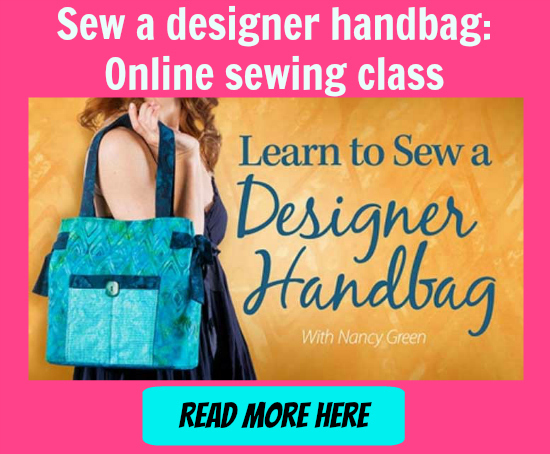 Here she’s put together for us a free PDF tote bag pattern that we think you’ll enjoy sewing and using. Featuring pleated pockets for plenty of storage and strong straps, you’ll be able to pack everything you need in this handy tote bag. A full materials list is included in the download and this project is a great one to use up smaller pieces that co-ordinate. And don’t forget to check out Amanda’s quilting classes on Craftsy that contain skills and projects for everyone from beginner to the more experienced sewer. Click the images below.